If you’re thinking about moving to San Diego, you’ll want to be prepared for the real experience of it. That means finding a job and a place to live will be among your highest priorities, but you also want to make sure you’ll like living there. Will there be fun things to do? 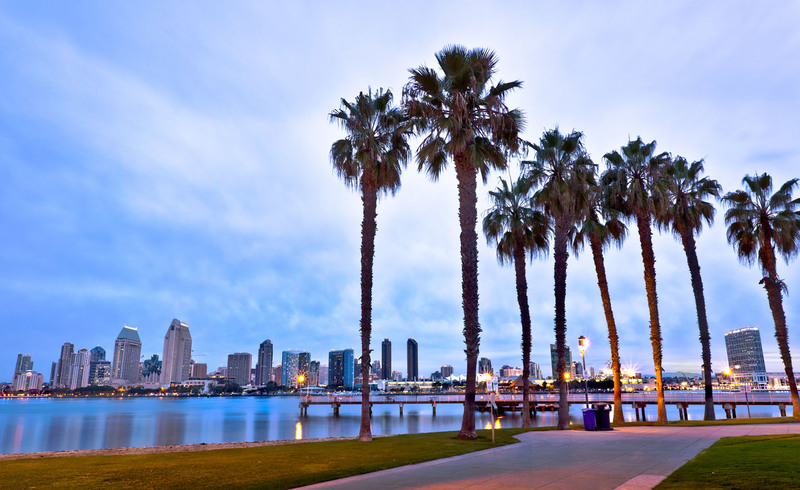 Is there a variety of activities, like San Diego tours, so you’ll be easily entertained in your new city? These are all important points to consider, before committing to the move. If you’re seriously considering a move to this southern California community, it’s important to do your research ahead of time. The housing market in San Diego isn’t for the faint of heart. In fact, San Diego ranked number 8 in a list of the most expensive housing markets in the country. That’s not surprising, considering the median home cost is $402,100. If you’re looking to buy a home to move into, you might be better off contacting a real estate agent, such as those at Berkshire Hathaway, or attending open houses in San Diego in advance to find out if there’s anything available in your price range. Maybe you’ve decided to rent instead? Certainly, you’ll be paying less for a rental unit than you would pay on a mortgage payment, but not by much. San Diego has the seventh highest rental rates in the United States, averaging $1,300 per month. While there are higher rental rates in other parts of California, this is still a pretty steep sum to shell out each month. So, you now know the cost of living is high in San Diego, but that may not be entirely surprising. It’s long been common knowledge that real estate prices in California are among the highest in the country. That goes for rental units, as well as for the costs of buying your own home. Is it worth it though? San Diego may be expensive, but it offers a great deal to make those costs worthwhile. In fact, there’s such a variety of entertainment options, you may be tempted to turn every vacation into a staycation. La Jolla Beach is one such attraction, featuring large cliffs overlooking the ocean. There are plenty of opportunities for dining and shopping in the area, further enticing visits to La Jolla. When you’re ready to get back to the beach, you can rent kayaks, go tide-pool hopping, or you can try your hand at surfing. For the less adventurous, there’s nothing wrong with just taking a leisurely stroll along the cliffs, where you can take in the breathtaking views of the village and the ocean. You’ll probably spend a great deal of time at Balboa Park, as well. Found in the heart of San Diego, the buildings in the park are as breathtaking as the nature that surrounds them. There are plenty of activities to keep you entertained in this particular park. In addition to the typical activities one might expect, such as bicycling and hiking, there’s also a carousel and Shakespearean plays to provide a bit of culture. If you’re an animal lover, Balboa Park is also home to the world-famous San Diego Zoo. Additionally, there are 15 museums to visit and eight gardens to admire throughout the park. These are just a few of the treats awaiting you in San Diego. The city also hosts both long-term and short-term cruises, safaris, beaches, and a vibrant nightlife, ensuring you’ll never be bored. There’s something for everyone in this part of southern California. The only challenge may be in finding your new home. Once those arrangements are made, there’s no doubt you’ll enjoy your new life by the ocean.